Growing old isn’t something that most of us want to think about, especially when it could affect our current disposable income, after all it all seems so far away. However, with the cost of living increasing and benefit and state pension provisions looking more and more unstable by the day, planning for your financial future has never been more important. When deciding how best to secure an income for old age, many people are starting to wonder if traditional pension plans are worth the extra investment considering the poor results they have yielded in recent years and also the volatility of the stock market. If you’re not convinced on the merits and reliability of a standard pension plan, here are some alternative investment ideas that might be worthy of consideration to boost your retirement fund. With a strong history for long term capital growth, property is a popular alternative pension option for many retirement planners. Although becoming a landlord can seem like a daunting task, property investment not only offers the opportunity for rental income during retirement but also the potential for capital growth that has, in historical terms, not just kept pace with inflation but even outstripped it. With mortgage lending still in the doldrums, a lack of affordable housing developments and also a growing population, strong demand for rental property looks set to continue in coming years making property investment a good candidate for an alternative pension plan. If you plan to invest in property directly then it would make sense to chat with a fees free mortgage broker* to see what finance options are available. Alternatively, if you would prefer to invest in property in a more hands off way then do check out this post on our blog. Although art can be a risky investment, many people are turning to these more risky asset classes when considering their retirement planning. Although art investment will not provide you with a return in the form of income, if you buy the right pieces at the right time, then art investment could prove to be a risk worth taking with the potential for capital investment growth. The concept of wine investment has always puzzled me but only in a humourous way. The idea of keeping some of the world’s finest wines locked within a bottle never to be tasted just seems like such a waste to me. Similar to art investment, investing in fine wine or other forms of maturing alcohol like whisky can be unpredictable, but if you’re willing to do your research and take a risk then finding the right bottle or case could turn out to be a great long term addition to your retirement fund. If for some reason you don’t get the return you’d expected, at least you’ll be assured of a jolly retirement! If you don’t feel comfortable picking your own fine wine investments, then you might want to consider investing in a fine wine fund. 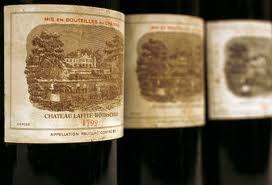 The Fine Wine Investment Funds prediction of a 14% rise in 2013 shows the potential for capital growth that fine wine has to offer. It’s worth noting that prices have also fallen in previous years so investing through a fund might not provide the same long term capital growth that self-investment could yield. Antiques have long been considered a good investment but again antiques can be a risky asset class. When investing in antiques it’s important to consider not just what’s popular now but also what might be popular in years to come. The people who are most successful in creating strong capital growth on their antique investments are those who are able to accurately predict future trends and buy now while the value of a specific antique or style is not fully appreciated. Antique investing is all about knowledge of the market and market trends, so before jumping in to antique investment be sure to do your research. It’s also important to ensure that your antique investments are properly safeguarded and insured. It’s easy to fall into the trap of thinking that you’re too young to be worrying about your retirement provisions; I used to feel the same way but it’s funny how quickly life creeps up on you. Kicking the retirement can down the road will only mean you’ll have to put more money into the pot in a few year’s time and who knows, you might not be in a position to invest then. Some of the alternative pension ideas mentioned above are riddled with risk. If you’re willing to take the risk though you might find the returns on your investment far outstrip those of a conventional pension plan. Great list. It’s always good to have these options in case everything goes belly up. Thanks Kevin, I agree and if you’re only using them as a sideline investment they can be quite interesting areas to invest in. Interesting list. I would be scared of some of these, but that is because I don’t understand them as investment vehicles. Thanks Grayson, it’s certainly important to do some research before jumping in. Yeah property is my preferred option but it’s a costly one, I’d be the same with the wine John! It’s pretty amazing how some things appreciate in value. I know that wine does but never ventured into buying it for that reason. I would probably end up drinking my capital gains and have to report it to the IRS as well! My grandma used to collect LLadro’s and they are now amongst a few of the grand-kids. Those statuettes always seem to appreciate in value as wel1! My BF invests in art and precious coins, he made a killing selling some now that gold and silver are really high. I wouldn’t venture there much since I don’t have the patience to make proper research (hence getting great value for my buys) and it is not very liquid. Nice to hear a success story Pauline! You’re right about the liquid aspect, most physical assets can’t just be sold overnight, not if you want to realise maximum profit anyway. If I have an extra money, I will go for property. Either rental properties or farming. Framing is one of the viable business, considering the trend of population. More population, more market that needs fresh farm products. Mum and Dad have a few properties in the UK that are paid for and give them passive income.The homes are worth alot more than what they paid for them as well. They are collecting state pension and said that buying the properties was one of the best decisions they ever made. We may do the same in Canada now that our mortgage is paid. It’s certainly something I’ll be looking at in the future MR.CBB, especially as I’m self employed so havn’t got the pension benefits an employed person might have. Very interesting. I wouldn’t even know where to start with some of these. I remember just a few weeks ago I was speaking with my mom about some of the art they bought while on a cruise and other places. I was trying to figure out how they knew they were really investing in it rather than just buying a cheap print you could get from Walmart. I suppose that’s where the research comes in Alan. I agree, you do have to be very careful with art investment. Even the experts can get caught out by an extremely good knock off so it’s good to be wary and if possible buy from a reputable source. Love this list, Mr. Bulldog – it’s interesting and different. A friend of my dad’s unintentionally funded her retirement with art, and it worked out very well for her. Really interesting list. I can’t imagine considering these for a portfolio, but I suppose there are a few who win big in the fine wine niche…? Yeah there’s definitely money to be made in all the niches. I have a friend who invested in a case of what I guess you’d call ‘limited edition’ Whisky. His investment has almost doubled over the past 5 years so these niche investments are certainly worth consideration. My philosophy is to spread the risk around. I think this is what your article is implying correct? The alternatives are great if you do more than one, or else you risk having to liquidate an asset when the market for that asset might be low. Adam, you need to let people know of the risks inherent in these investments. In addition, they are all illiquid investments (except for the wine, if you excuse the pun) that can create huge problems if a sale must be made when the market is down. My view is that these investments should not be considered until and unless a very large emergency fund has been established and a very large conventional portfolio of well diversified no-load mutual funds and index funds has been established.